Chris Peters is a teacher at St. Bonaventure’s College in St. John’s, and was pivotal in helping Food First NL establish the first official Farm to School pilot project in Newfoundland & Labrador, in 2015. “I come from New Brunswick. Twenty years ago, I am not sure anyone was talking about where food was coming from,” says Peters. His passion for local produce was pivotal in setting the seeds of the mounting Farm to School movement in our province. 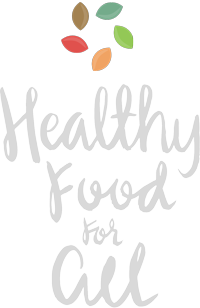 When a group of his studentsapproached him, asking for a wider variety of healthy options in the cafeteria, Peters got in touch with Sarah Ferber at Food First NL. Together with Lester’s Farm, Chartwells Food Services, and Farm to Cafeteria Canada, they launched the first “Farm to School Salad Bar” of its kind in Newfoundland. Peters says one of the main ideas behind the program is to get kids thinking about food — where it comes from and how it’s grown.